With its first public live performance in Paris on 11 February 1896, Oscar Wilde's Salomé took on female embodied form that signalled the start of 'her' phenomenal journey through the history of the arts in the twentieth century. This volume explores Salome's appropriation and reincarnation across the arts - not just Wilde's heroine, nor Richard Strauss's - but Salome as a cultural icon in fin-de-siècle society, whose appeal for ever new interpretations of the biblical story still endures today. 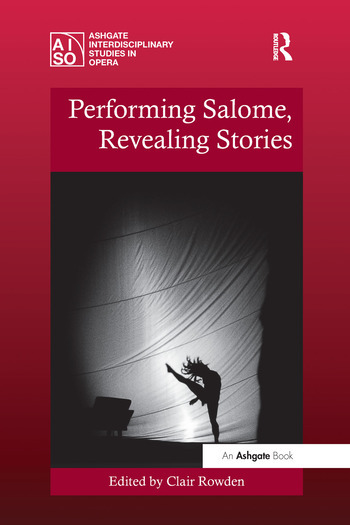 Using Salome as a common starting point, each chapter suggests new ways in which performing bodies reveal alternative stories, narratives and perspectives and offer a range and breadth of source material and theoretical approaches. The first chapter draws on the field of comparative literature to investigate the inter-artistic interpretations of Salome in a period that straddles the end of the nineteenth century and the beginning of the Modernist era. This chapter sets the tone for the rest of the volume, which develops specific case studies dealing with censorship, reception, authorial reputation, appropriation, embodiment and performance. As well as the Viennese premiere of Wilde's play, embodied performances of Salome from the period before the First World War are considered, offering insight into the role and agency of performers in the production and complex negotiation of meaning inherent in the role of Salome. By examining important productions of Strauss's Salome since 1945, and more recent film interpretations of Wilde's play, the last chapters explore performance as a cultural practice that reinscribes and continuously reinvents the ideas, icons, symbols and gestures that shape both the performance itself, its reception and its cultural meaning. Contents: Introduction: performing Salome, revealing stories, Clair Rowden; Decadent senses: the dissemination of Oscar Wilde’s Salomé across the arts, Polina Dimova; Visions of Salome, visions of Wilde: critical readings of Oscar Wilde’s Salome in early 20th-century Vienna, Sandra Mayer; Whose/who’s Salome? Natalia Trouhanowa, a dancing diva, Clair Rowden; Salome’s slow dance with the Lord Chamberlain, London 1909-10, Anne Sivuoja-Kauppala; Seven veils, seven rooms, four walls and countless contexts, Hedda Høgåsen-Hallesby; The dirt on Salome, Caryl Clark; Outrageous Salome: grace and fury in Carmelo Bene’s Salomè and Ken Russell’s Salome’s Last Dance, Tristan Grünberg; Bibliography; Index. Clair Rowden is lecturer in the School of Music, Cardiff University, UK. Her research deals with opera, dance and nineteenth-century France; her book Republican Morality and Catholic Tradition at the Opera: Massenet’s Hérodiade and Thaïs was published in 2004. She is a member of the ‘Francophone Music Criticism 1789-1914’ network and is responsible for the preparation of online editions of various corpora of nineteenth-century French music criticism. Current research comprises a book on opera, parody and caricature in the French fin-de-siècle press, and an edited volume (with Alexandra Wilson) Transforming Opera. Clair Rowden has published articles in La Revue de musicologie, Music in Art, Franco-British Studies, Avant-Scène Opéra and regularly contributes chapters concerning opera and dance to the Cahiers de l’Esplanade (Saint-Etienne, France), and programme notes for the Royal Opera House, Covent Garden.